The category of electric cars of the FIA is immersed in the fifth season and more and more brands, cities, pilots and sponsors want to be part. A simple 'Power Point' full of visionary ideas in 2012 has become seven years later in a consolidated contest that is the envy of the rest. While most struggle to stay alive, Formula E grows exponentially. The perfect symbiosis between competition cars and street cars make the FIA electrical event an exceptional test bench for the brands that are fundamental in the impressive evolution and development that has suffered in the five seasons that has been disputed. Lejos remain the tests of Donington Park in the summer of 2014 that opened the initial season with victory in the first ePrix, played in Beijing, for Lucas di Grassi and his ABT Schaeffler with support from Audi, brand that is currently sponsor of the broadcasting of the races Formula E. Since then nothing has stopped growing in a dream that devised, created and operate Alejandro Agag and his team with the support and approval of the FIA with its president Jean Todt at the head. La revolution verde of motorsports continues writing chapters of the future for a cam peonato that evolves without stopping and that this year has presented the Gen2, a new powertrain. The second generation of the Formula E is a visionary coach that gives a huge jump of quality to the competition because The first time the battery, which doubles the power capacity of the previous one, is able to complete the race without changing the vehicle. In addition, increases its power by almost 70 CV, an increase that together with the reduction in the weight of car and battery provides an important gain in the peak speed reaching 280 kilometers per hour. The irruption of the electric car and the firm idea of sustainability and emission reduction makes this championship a profound novelty in multiple aspects that is representing a change in single-seater racing. The firm battle to find solutions to collaborate with the environment and sustainability have the support of the brands that are turning, and not only those of cars, which are part of the electric paddock. In summary, the Formula E is the motor championship where more brands compete. 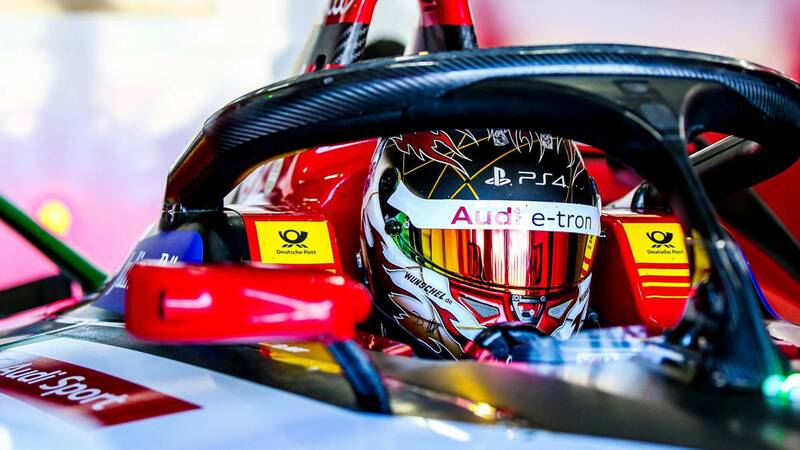 The support to technology and innovation, together with the defense of the planet through clean energies, drives companies like Audi that was already with ABT in the beginning of the Formula E.
Winner of the first Formula E GP played in Beijing (2014), placed the 'four rings' in the third season in which they won the drivers' title with Di Grassi and since the fourth as factory factory team in which they took the equipment title. Power carry advances and competition technology to the market of road cars is a value that Audi does not want to miss and hence its enormous implication that intensifies more and more. In addition, the brand goes one step further outside the tracks, clearly betting on its commitment to sustainability, innovation in the development of electricity as a new source of motor power and in the search for green energies. La Formula E organiza this week In Mexico, his ePrix number 49, has visited four continents, 22 cities and 19 countries. The requests to see the cars in their urban centers are piled up, the sponsors knock at the door continuously, the pilots arrive from competitions that were previously a priority ... Everything is bonanza in a championship that has supposed a radical change in the concept of motorsport associated with the combustion engine. The Future is electric. Electric has gone Audi.